At The Yoga Sanctuary, we believe everyone deserves a moment of tranquility. 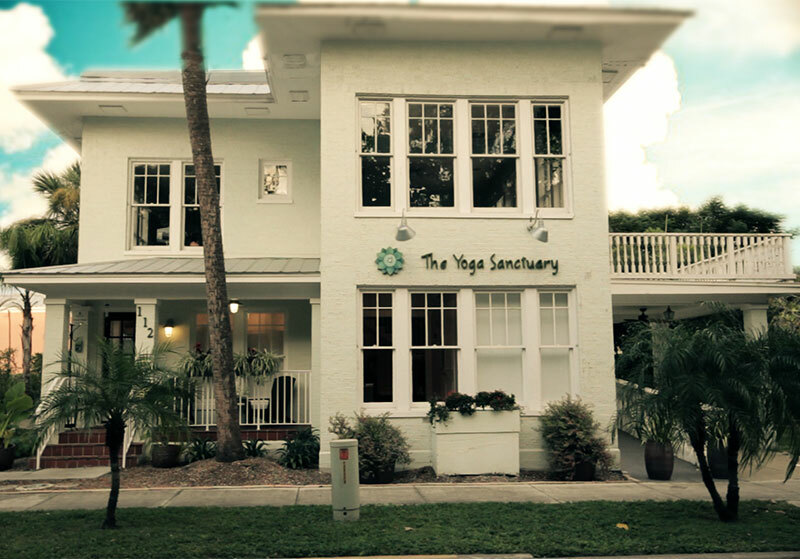 Tucked in the heart of Punta Gorda’s historic district is a small ‘sanctuary’ where you can nurture body, mind, and spirit. Our mission is to share our passion of yoga with the community by providing a warm, safe environment to develop the tools needed to incorporate yoga into everyday life. We offer the benefits of yoga to people of all ages and experience levels. 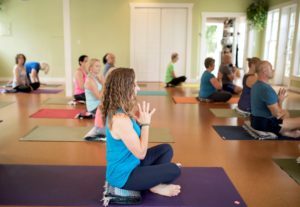 At our studio, you’ll find a full range of yoga classes, empowering year-round workshops, individualized programs and yoga supplies all designed to support a yogic lifestyle. Whether you’re interested in a yoga class, private instruction, meditation, or simply want to unwind with a fresh cup of organic tea, The Yoga Sanctuary is your destination to relax, refresh and rejuvenate. In honoring ahimsa (non-violence), we are also committed to green practices that make our studio safe for the student, as well as the environment. We serve all of Southwest Florida, including Charlotte County, North Port, and North Fort Myers. 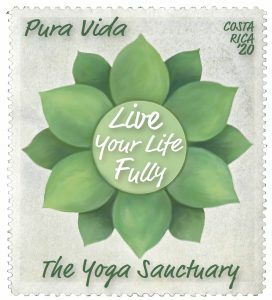 Pura Vida, Live Your Life Fully A Yoga Retreat in 2020! Pura vida is a Spanish phrase often heard and used in Costa Rica. It translates to pure or simple life. But more than that, it is a way of life and implies living life to its very fullest, being present to—and grateful for—the simple miracles that surround us every day. Join The Yoga Sanctuary for this Costa Rican Yoga Retreat and fully embrace the pura vida experience! The Yoga Sanctuary blog is a great place to learn “all about yoga.” We update our blog at least once a month with new posts about yoga postures, yoga philosophy, ways to bring yoga into your daily life, and more! You’ll even find articles from leading guest teachers from all over the county. Take your time to explore–and if you aren’t finding the answer to your question, let us know and maybe we’ll post about it next! Finding The Yoga Sanctuary in Punta Gorda has been so beneficial to me. Kind and experienced instructors have made me more aware of my body, more at ease, and more self assured over these past two years. I find peace going through the asanas. I walk taller being more aware of my body alignment and that’s a challenge for someone barely five feet tall! My muscles and glands have been strengthened and rejuvenated. I feel much younger than my 59 years. Thank you The Yoga Sanctuary for being true to your name. Yoga has taught me to focus more on life, health, and love for myself and for those around me. When I complete a Yoga practice I have an inner calmness; spiritually of the soul and mind. Yoga has kept me flexible and active, it has helped the problems I have with my posture, neck and back pain. Yoga has also helped me to center my focus and calm my inner noise. I have been recovering from back surgery for the past 9 months. I cannot say enough GOOD about the Gentle Yoga classes! I have improved 150% since beginning these classes 6 months ago. It has been my privilege to practice the yoga with the instructors at The Yoga Sanctuary. I am so glad you are here to help elevate our community. I’m so glad that I found The Yoga Sanctuary. I appreciate all that I have learned. Yoga has become much more than the asanas to me now. Thank You! There is so much positive energy within those walls and feelings of good intent. I have had chronic problems with my back since my early twenties. Although I exercised on a regular basis, in my mid fifties I was diagnosed with osteoarthritis. I was stiff in the mornings and had a hard time moving. I would also wake up during the night and my hips were aching. It was then I decided to try Yoga. After a month of doing Yoga on a regular basis my hips no longer ached. I am now 60 years old and have increased my strength and flexibility. My Yoga practice has given me calmness in my life with less anxiety. I believe we are very lucky to have such outstanding and caring teachers at The Yoga Sanctuary.